Fittingly known as the Queen of Soul, Aretha Franklin has been the premier female singer of rhythm and blues for more than four decades. Franklin was born on March 25, 1942, in Memphis, Tennessee, but at age two moved with her family to Detroit, Michigan, where she still lives. The fourth of five children, she grew up surrounded by gospel music. Her father, C. L., was the minister of the 4,500-member New Bethel Baptist Church, where her mother, Barbara, often sang. When Aretha was 10, Barbara Franklin died, leaving C. L. as her primary adult infiuence. 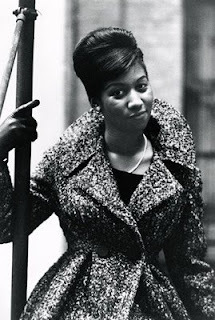 Aretha sang her first solo at her father’s church when she was 12. She stunned the congregation with her mature and expressive voice. By 14, she had begun recording hymns for Chess Records and traveling with her father’s revival tours. 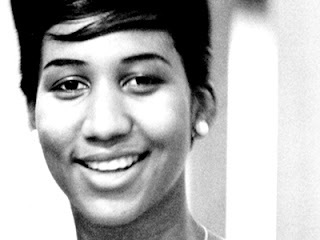 Aretha’s education ended when, at 15, she gave birth to her first child. She would have two more children during her teens. Taken with the singing of DINAH WASHINGTON, Franklin decided to switch from gospel to the blues. With her father’s blessing, she left for New York in 1960 to seek out a career in secular music. Her demo tape reached Columbia Records executive John Hammond, who called Franklin “the best natural since BILLIE HOLIDAY.” Hammond had signed Holiday to her first record contract and did the same for Franklin. Her albums with Columbia, however, did not provide the best showcase for her talent. To make her more commercial, Hammond reined in her raw and powerful voice in a light jazz nightclub sound. Although she won the Down Beat magazine critic’s poll for the best new vocalist of 1962, Franklin’s Columbia recordings were only moderate successes. When her contract with Columbia elapsed, Franklin signed with Atlantic. She was encouraged to find her own singing style by Ted White, who began acting as her manager after their marriage in 1961. Atlantic allowed Franklin to take an active role in choosing her material and developing its arrangement. The label also sent her to work with world-class musicians at a recording studio in Muscle Shoals, Alabama. The result was a powerful merging of gospel expression with the soul music tradition. The first song Franklin recorded, “I Never Loved a Man (The Way I Love You),” went to number one in the spring of 1967. It was only the first in a string of hits. 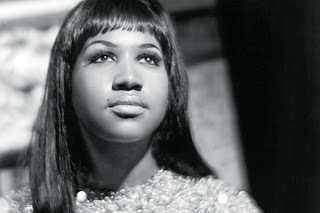 In 1967 and 1968, Franklin released three top 10 albums and six top 10 singles, including “Chain of Fools,” “(You Make Me Feel Like a) Natural Woman,” and “I Say a Little Prayer.” Her signature song became “Respect,” which Franklin claims she never grows tired of singing. In her voice, the Otis Redding song becomes a woman’s demand for her lover to acknowledge her worth and dignity. It was adopted as an anthem by both the civil rights movement and the women’s movement. Franklin continued to record to popular and critical acclaim. Through 1975, she won at least one Grammy every year. Her success, however, strained her marriage. She and White divorced in 1969 and she had a six-year relationship with her road manager Ken Cunningham, by whom she had a son. She married actor Glynn Turman in 1978; they were divorced in 1984. Franklin suffered another blow in 1979 when her beloved father was shot by a burglar. He remained in a coma for five years before his death in 1984. Emerging from a creative dry spell, Franklin gave her career a boost with her movie-stealing appearance in the hit film The Blues Brothers (1980), which helped introduce her music to a new, younger audience. The same year, she signed with a new company, Arista. After a few modestly successful records, Franklin had one of her biggest hits with “Freeway of Love,” a song from the album Who’s Zooming Who (1985). She also hit the charts in the 1980s with two duets—“Sisters Are Doing It For Themselves” (1985) with Annie Lennox and “I Knew You Were Waiting for Me” with George Michael. In 1987 Franklin was inducted into the Rock and Roll Hall of Fame, the first woman to be so honored. For lifetime achievement, she was also given a special Grammy in 1994, one of 17 she has earned throughout her career. During the 1990s, Franklin began exploring new interests. She established Crown Productions, a television and film production company that optioned Jesse Jackson’s autobiography as its first project. Bego, Mark. 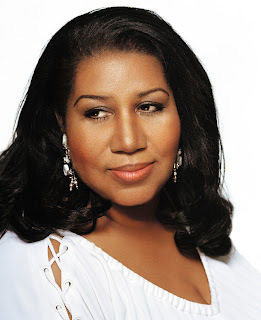 Aretha Franklin: Queen of Soul. New York: St. Martin’s Press, 1989. Franklin, Aretha, and David Ritz. Aretha: From These Roots. New York: Villard Books, 1999. 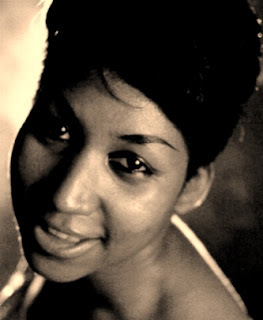 Aretha Franklin: The Queen of Soul. WEA/Atlantic, VHS, 1991. The Very Best of Aretha Franklin, Vol. 1.WEA/Atlantic/Rhino, CD, 1994. The Very Best of Aretha Franklin, Vol. 2.WEA/Atlantic/Rhino, CD, 1994. 1985 - 30 Greatest Hits, Who's Zoomin' Who?